To this day I love eating raw radishes dipped in coarse salt. That's it. Plain crunchy radishes and salt. It all started when I was little. My dad ate radishes like that and I wanted to be grown up just like my dad. While I don't think most children would eagerly bite into a raw radish, I on the other hand, dove in and loved it. So, other than noshing salted radishes or adding thinly sliced radishes on top of tacos I don't do much with this spring/early summer crop. However, the other night I decided our grilled fish needed something. I quickly brought out the mandoline and grabbed some radishes. I picked some fresh mint (from my "mint forest" by the patio) and then basically tossed it all together. 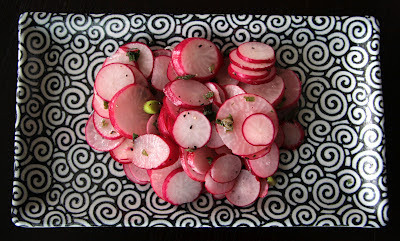 The result was a wonderful zingy, crisp radish salad. 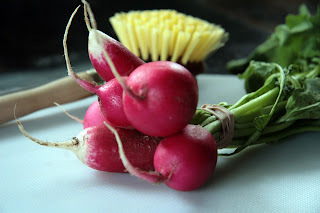 In a medium-sized bowl add the thinly sliced radishes and garlic scape. Squeeze in the lime juice. 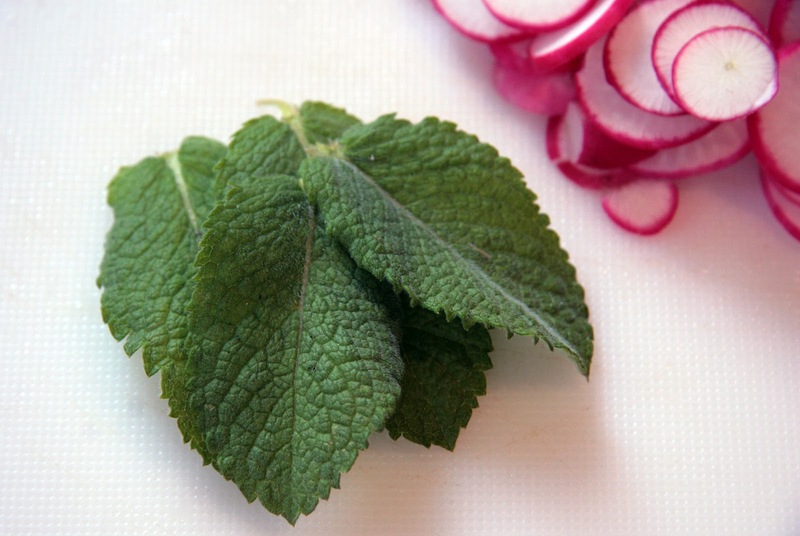 Toss in the mint ribbons and season with pepper and salt. We spooned it over a piece of grilled mahi-mahi seasoned with garlic, chili powder, salt and pepper. It was the perfect match for the buttery, flaky fish. I admit this recipe isn't all that out of the ordinary, but it did get me thinking that I could certainly do more with radishes. I heard you can make a pesto out of the greens. I have yet to try that, but it sounds interesting. 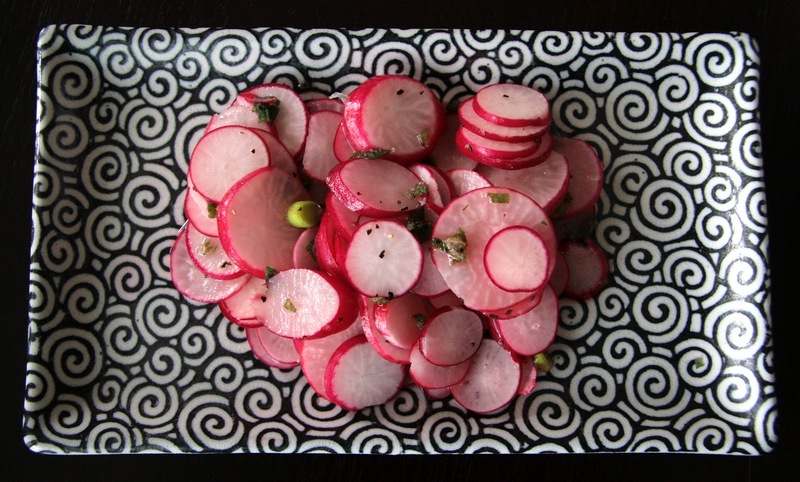 Do you make anything special with radishes? Sounds yummy ... will have to try it.